Shaun founded SoftSource Consulting in July 2001 to provide expert software consulting services on the Microsoft technology stack. 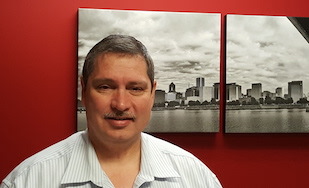 He has over 20 years of experience in soft­ware development. Previously Shaun was the Chief Technology Officer and VP of Emerging Technology at STEP Tech­nology. Shaun is a frequent speaker at technical conferences. He has presented at the Microsoft Global Executive Roundtable, Microsoft Global Summit, the Microsoft Technical Briefing, SD West and other national developer con­ferences. Shaun has also served as the Portland Microsoft Regional Director and has been a Microsoft MVP.